Porcelain Inlays and Onlays are indirect restorations used to restore teeth with extensive damage. Inlays are similar to fillings, except they are fabricated outside the mouth (using an impression of your tooth) and then placed into the tooth later after it has been completed. Onlays, meanwhile, are similar to crowns, in that they generally cover the missing or damaged cusp of a tooth. If you already have inlays or onlays that have become damaged or have simply worn out over time, we can also restore them for you. When the damage to your tooth is so extensive that a filling or another form of direct restoration could potentially make the damage worse, we’ll most likely suggest inlays as your best tooth restoration option. Inlays are indirect restorations, meaning that they are fabricated outside of the tooth, rather than poured into the cavity and left to harden. Inlays are often safer and better alternatives to fillings, since fillings and other forms of direct restoration tend to shrink as they harden, potentially putting strain on the tooth or even leaving gaps between the tooth and the filling. Inlays, however, are hardened and shaped before they are placed in the tooth, meaning that they will fit perfectly and will not shrink, better protecting your remaining tooth from further damage down the road. 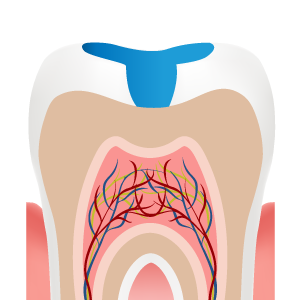 If the cusp (or the edge) of your tooth is severely damaged by trauma or decay, then we’ll most likely suggest an onlay. Like inlays, onlays are fabricated outside of the mouth based on an impression of your tooth, and is therefore suited to your specific needs. 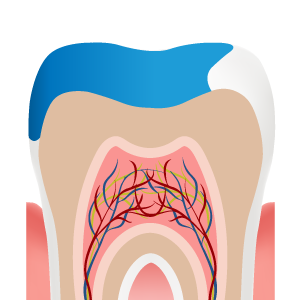 Then, the onlay is placed over the existing tooth, effectively covering the damaged cusp, similar to a crown in many ways. Onlays will often require a temporary covering while the final onlay is being fabricated, meaning that you may need to make at least two appointments. Inlays and onlays are just like any other form of restoration: decay and trauma can damage them and reduce their effectiveness. If this has happened to you, don’t worry, because here at Santa Monica Family Dentistry will restore your inlays and onlays as quickly as we can so you can get back to living your life normally again. Nitrous Oxide (laughing gas) provided complimentary for root canals upon request. Similar to a filling but made from porcelain and created in a lab to fit your tooth. Onlays are similar to a crown. Created in a lab to replace part of your missing tooth material.